Maruti Suzuki, which sells every second car in India, believes electric vehicles (EVs) alone cannot solve the challenges of energy and emission. Its strategy, therefore, will be to offer a mix of electric and hybrid vehicles. “Though we are aiming for EVs, it is very difficult to change things overnight,” Maruti Suzuki's Managing Director and Chief Executive Officer Kenichi Ayukawa told Business Standard. The car maker recently announced it would introduce EVs in India by 2020 in a partnership with Japanese peer Toyota. This was in response to the government’s indication of going all-electric by 2030. “Even after 10 years, switching all cars to electric will be difficult. If technology becomes affordable and we have the infrastructure, it will be a different story. But India is a big country, and it is not easy to reach from one point to the other. Outside the big cities we have to use diesel and petrol cars,” Ayukawa said. The car maker believes that hybrid technology, besides improving efficiency, will also bring down cost of EVs since both use common batteries, motor and some parts. “These are quite common to EVs. 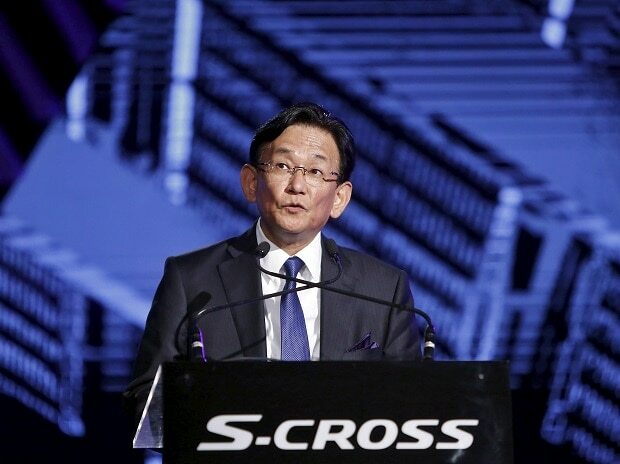 Hybrids will help in increasing localisation of components,” said Ayukawa. At present, the company offers hybrid features in the Ciaz, S-Cross, and Ertiga. The Society of Indian Automobile Manufacturers (Siam) has said that 100 per cent conversion is possible only by 2047. It also said that full shift to electric mobility was possible only in public transportation vehicles by 2030, by when only 40 per cent of new personal vehicle sales would be electric. On input cost push, he said raw material prices had been rising and the trend may continue into next year. “We have to live with it and try to control costs with volume expansion and improve our productivity,” said Ayukawa.